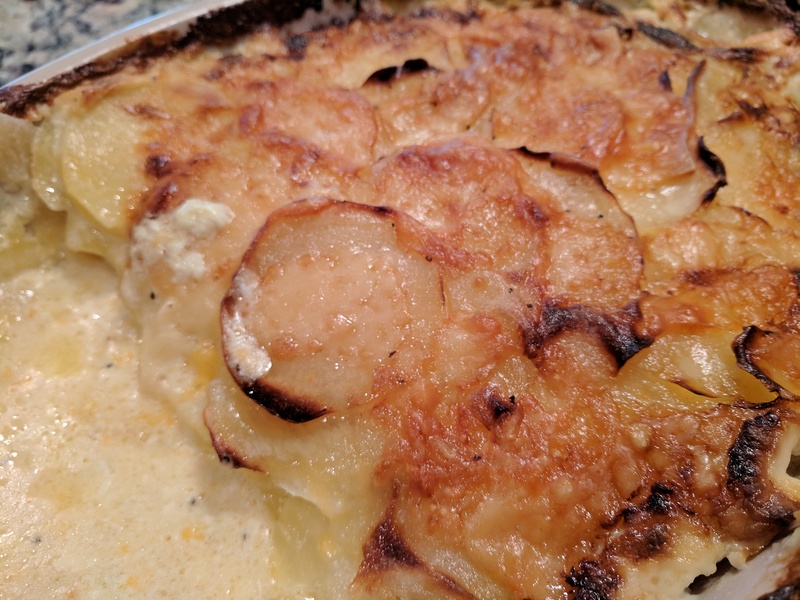 Scalloped potatoes remind me more of holiday meals, probably because it is a little more involved than what most would take on for a week day meal. Add it to your list for a fancy Sunday dinner for the family. Heat the oven to 400 degrees F. (200 degrees C.) and butter a large ceramic baking dish. Combine milk, cream, bay leaf and garlic in a small pot. Heat on low-medium until the mixture begins to bubble on the sides of the pan. Peel and slice potatoes using mandolin or by hand. Try to keep it consistent. Make layers of sauce, potatoes, salt/pepper, cheese until you are out of ingredients. Add additional cheese on top and bake for 40-50 minutes or until potatoes are tender and cheese is golden brown. Let set for 10 minutes to thicken and serve.